Seat Belt style webbing is placed INSIDE the perimeter hem giving you a triple strength hem for securing to barriers and crowd situations for anti theft and extra strength. Crowd control barriers and sporting events wherein the public may attempt to remove the graphics. 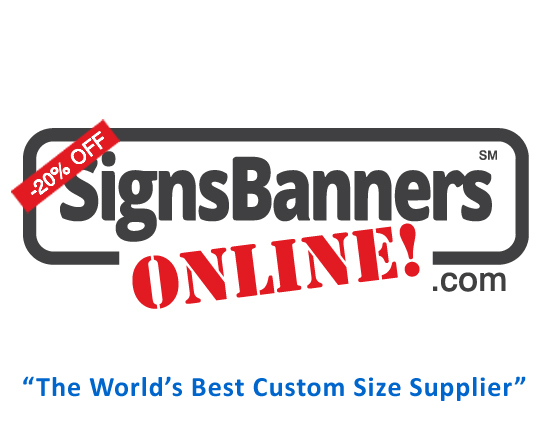 Long span banners across roadside or raceway access. High Wind areas and rough usage. Extra strength & anti vandal. #1 Do I add more Material Over Size because of the Hook n Loop = No Keep all your Material Over Size as per the Easy Template Maker suggestions. #2 Does it come with both sides? No. 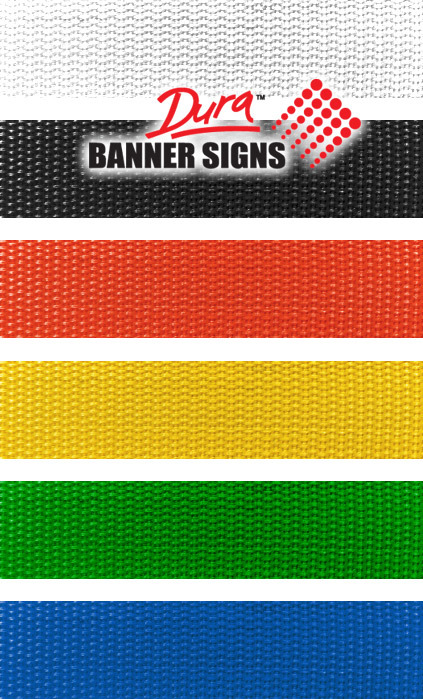 We supply a single choice sewn onto the banner inner perimeter. #3 Is it included all sides? YES, we insert the webbing into all four edge perimeters. Order 1" for normal use attached to a fixture, wall, portable rental fence or structure. 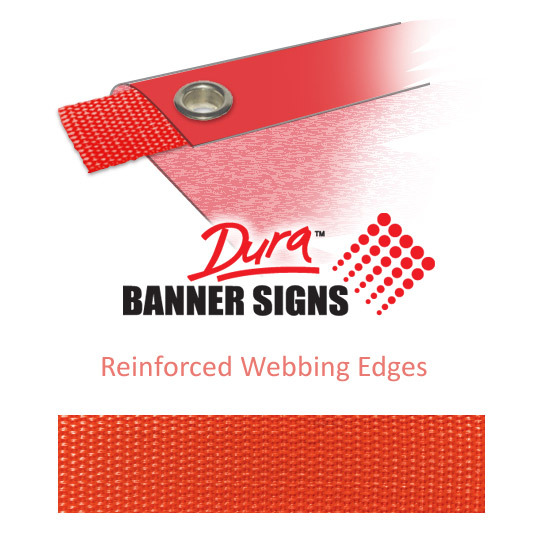 Choosing the Reinforced Webbing Edges for your banners (indoor or outdoor use) will give you a triple strength solution. Choose a color that best suits your graphic media print on the front and any color influences you may have. Eyelets Grommets are machined inserted and pass through the material hem, the reinforced webbing and through the material again. 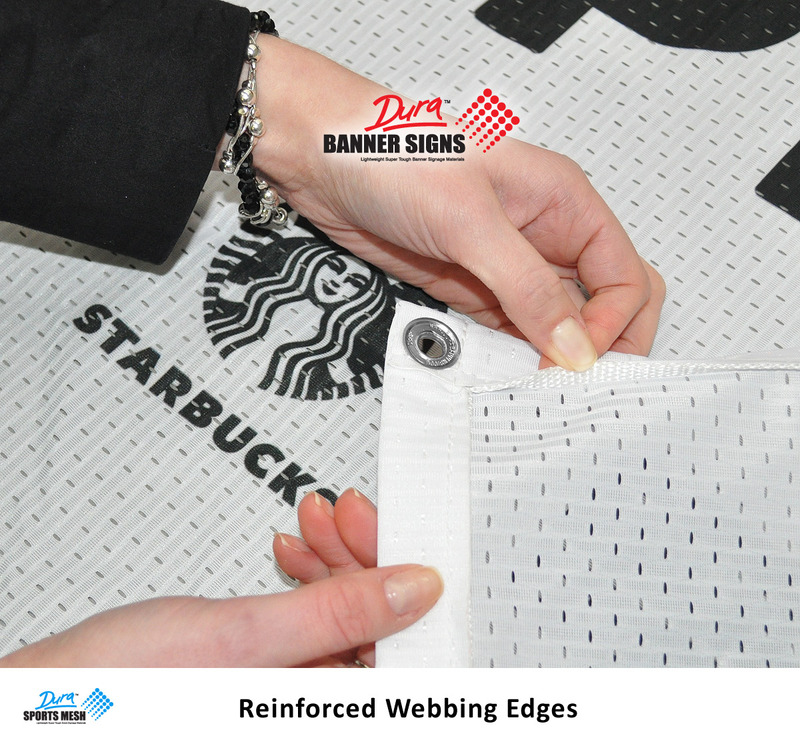 Reinforced Webbing Edges do not extend past the finished order size.